Hey, look what I found out in the garden this morning? Those little, tiny pairs of kinda pointy leaves? Those are the parsnip seedlings! They have survived quite the weather fluctuation so far. (The bigger seedlings with the pink stems are the radishes.) Obviously, with our lovely weather, the radishes aren’t quite as big as we hoped they would be by this time. If we can just stay semi-warmish for a few days, those radishes should really take off! We will have to be careful when it gets around to harvest. 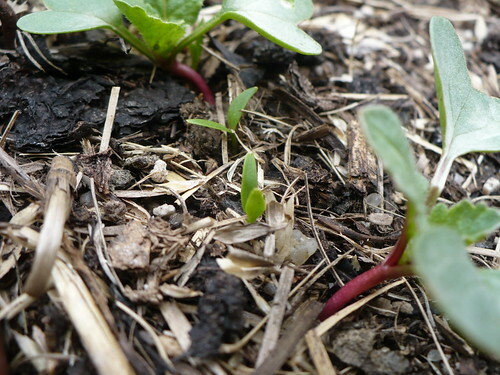 Posted on April 15, 2013, in Around the Garden and tagged parsnips, radishes, seedlings, seeds, Spring. Bookmark the permalink. Leave a comment.